1. To train youth to participate and advance in various types of employment within the field of aviation. 2. To stimulate and encourage broader job opportunities for under privileged youth in all phases of aviation. 3. To encourage youth to enter the field of aviation and to remain in school by showing films and lecturing in schools on opportunities in the field of aviation. 4. To organize and set up a school for such training. 5. To develop scholarships for youth who will partake in such training and development. 6. To acquire, own, hold, sell, lease, pledge, mortgage or otherwise dispose of any property, real or personal, necessary to the operation of the Organization. 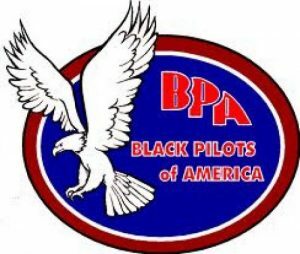 Black Pilots of America, Inc. (BPA, Inc) is a non-profit flying organization established in 1997. Membership is open to anyone who shares the aims and purposes established in the preamble of our Constitution and Bylaws and have a primary focus on providing an atmosphere for everyone to learn to fly and perhaps own airplanes. Members include men, women and youth aviation enthusiasts from all walks of life and various backgrounds and experiences. Chapters are located throughout the country and all interested potential new members are invited to contact a chapter official for additional information about joining the chapter. The Chapter at Large designation is available to those who are not strategically located near an existing chapter. BPA, Inc. is registered in the State of Delaware and was qualified as non-profit by the IRS by the provisions of 509(a)(2) under 501(c)(3) in 2002. Chartered member chapters which do not have their individual non-profit status operate under the National Office non-profit status Tax ID # 86-0852905. Donations are welcomed under this tax number. There are four major events conducted by Black Pilots of America, Inc. The Annual General Membership Meeting held in August at various locations. You are invited to join BPA, Inc. and take advantage of what we have to offer. Take this opportunity to browse through our website and make contact with the chapter nearest you. We also request constructive feedback about our website.